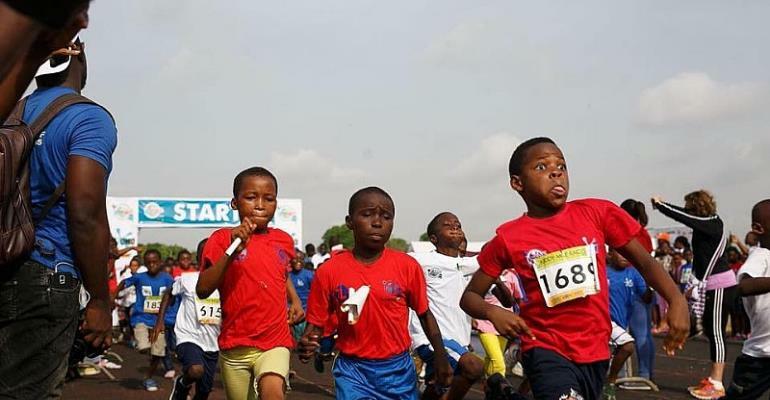 The 2019 edition of the popular Kiddy Mile Race comes off on Saturday April 13, 2019 at the El Wak Sports Stadium. Even Organiser, Mrs Cathy Morton said over 50 schools and 2,000 pupils are expected to be part of the 2019 edition. She hinted that the programme was postponed to this weekend to allow more schools and others to register and participate to become future sports heroes and champions. 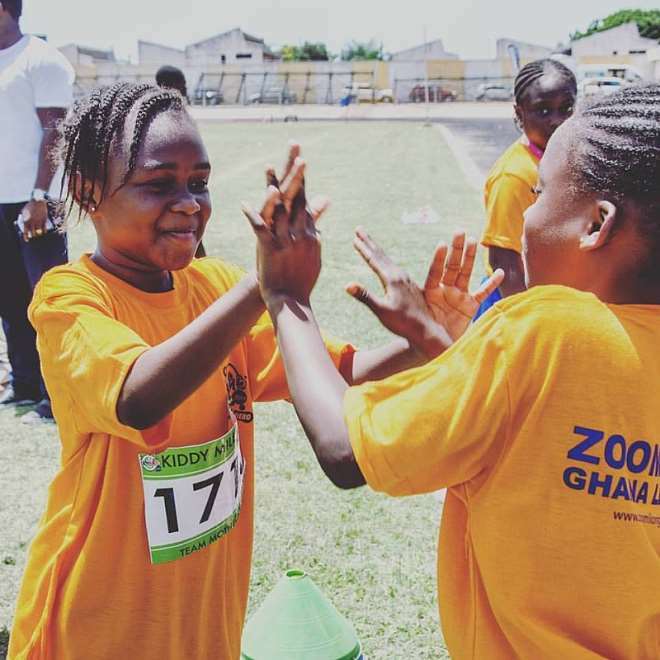 She said, the aim of the Kiddy Mile is to foster unity among the pupils and the schools and give the children the opportunity to make friends and socialise, while playing. Madam Morton, who is Co Director of the internationally acclaimed Millennium Marathon expressed that another aim of the event is to inculcate in the kids how to win and cherish medals. 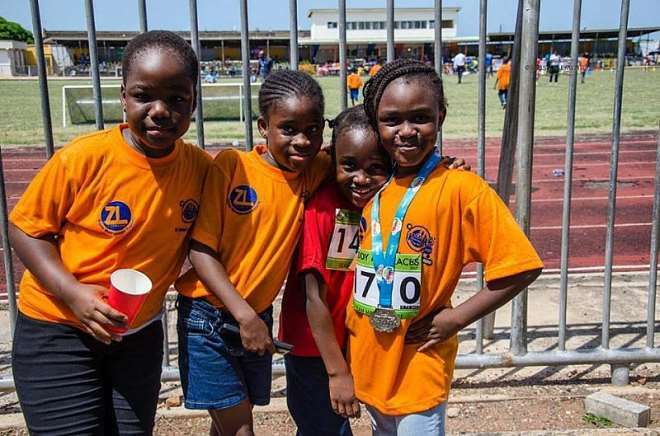 “When we go to the big games like the Olympics and Commonwealth Games, we are given medals when we win, so we want to teach our children how to win medals, how to keep the medal and how to make friends through sports” she stressed. She named some of the events to be competed in as the mini mile race, six race categories for children aged 3 years to 15 years, table tennis, basketball, five-side-football, friend soccer board game and the exciting mum & me race. Mrs. Morton thanked Unilever Ghana, producers of OMO washing soap for supporting the event. Other companies supporting the 2019 Kiddy Mile Race are DANO Milk, Blue Band, BIC, Verna Water and No.8 Biscuits. Some media organisations have welcomes the idea and supporting the laudable event which is geared at unearthing sports talents for Ghana. Yours Truly interviewed many international sportsmen and women and realized that most champions started at a very tender age like 3 years, others started at 6 years, so the concept by the Millennuim Marathon Sports Company is very good. The president of the Ghana Olympic Committee (GOC) Ben Nunoo Mensah also said Champions are discovered and groomed at an early stage and they are exposed with competitions. He commended the organsers and promised to be present at the event to motivate and encourage the future stars. Ben Nunoo Mensah said he loves to see kids learning by competing in sports events.